As you see this method is also fluent. In this case you will have to add the constraint manually to the view. It’s the maximum amount of flexibility but a bit more work. This method is used to space the view related to is superview. You can define all sides at once, every side separately and leave some sides out. It takes Offsetable as it’s parameter which means you can either use a primitive like Int or CGFloat or you can send an Offset directly. This is the most flexible way to use this API. Every side can have it’s own separate definition which is Offsetable so can be mutated further when needed. respectingLayoutGuide / layoutGuideRespecting means it respects the layout guides, like in the root view of a ViewController where you expect it to respect the Safe Area sometimes. The default is to not respect the layout guides. Align is used where you want to align two views that are not in a parent / child relationship. Space the view to another view in any direction. These functions are used to set the size of a UIView. 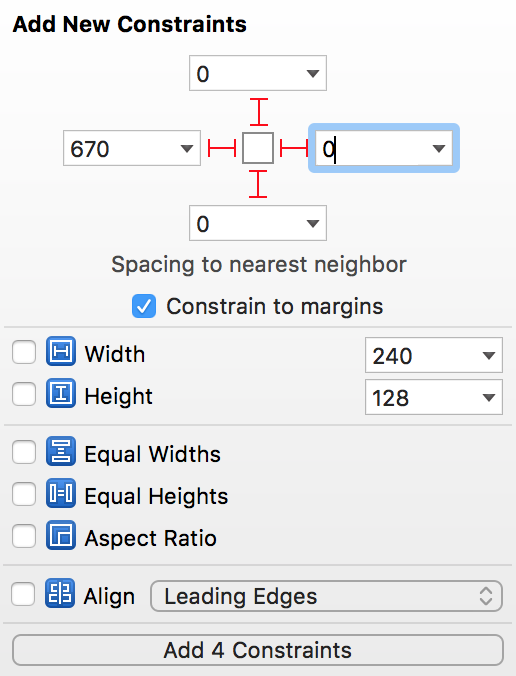 You can set the width and height also related to the width or height of another view. Ratio sets the ratio between the width and the height of view. 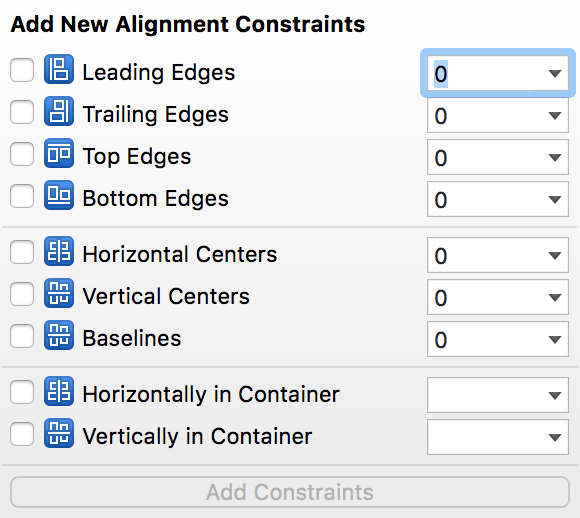 Constraint is available under the MIT license. See the LICENSE file for more info.